13.2.1 What is distinctive about the Latin America region? Latin America is highly heterogeneous in terms of climate, ecosystems, human population distribution and cultural traditions. A large portion of the region is located in the tropics, showing a climate dominated by convergence zones such as the Inter-tropical Convergence Zone (ITCZ), and the South Atlantic Convergence Zone (SACZ) (Satyamurty et al., 1998). The summer circulation in tropical and sub-tropical Latin America is dominated by the North America Monsoon System, which affects Mexico and parts of Central America, and the South America Monsoon System, which affects tropical and sub-tropical South America east of the Andes. These monsoon climates are closely interconnected with ocean-atmosphere interactions over the tropical and sub-tropical oceans. Low Level Jets in South America east (Marengo et al., 2004) and west (Poveda and Mesa, 2000) of the Andes, and in North America east of the Rockies, Baja California and over the Intra-Americas Seas transport moisture from warm oceans to participate in continental rainfall. Most of the rainfall is concentrated in the convergence zones or by topography, leading to strong spatial and temporal rainfall contrasts, such as the expected sub-tropical arid regions of northern Mexico and Patagonia, the driest desert in the world in northern Chile, and a tropical semi-arid region of north-east Brazil located next to humid Amazonia and one of the wettest areas in the world in western Colombia. A remarkable ecogeographical zone is that of the South America's highlands (see case study in Box 13.2), located in the tropics and presenting paramo-like (neotropical Andean ecosystem, about 3,500 m above sea level) landscapes with deep valleys (yungas) holding important biodiversity, with a wealth of vegetal and animal species. 1997/98) and other severe climate extremes (EPA, 2001; Vincent et al., 2005; Haylock et al., 2006) have happened during this period, contributing greatly to the heightened vulnerability of human systems to natural disasters (floods, droughts, landslides, etc.). Since the TAR, several highly unusual extreme weather events have been reported, such as the Venezuelan intense precipitations of 1999 and 2005; the flooding in the Argentinean Pampas in 2000 and 2002; the Amazon drought of 2005; the unprecedented and destructive hail storms in Bolivia in 2002 and Buenos Aires in 2006; the unprecedented Hurricane Catarina in the South Atlantic in 2004; and the record hurricane season of 2005 in the Caribbean Basin. The occurrence of climate-related disasters increased by 2.4 times between the periods 1970-1999 and 2000-2005 continuing the trend observed during the 1990s. Only 19% of the events between 2000 and 2005 have been economically quantified, representing losses of nearly US$20 billion (Nagy et al., 2006a). Table 13.1 shows some of the most important recent events. In addition to weather and climate, the main drivers of increased vulnerability are demographic pressure, unregulated urban growth, poverty and rural migration, low investment in infrastructure and services, and problems with inter-sectoral co-ordination. The poorest communities are among the most vulnerable to extreme events (UNEP, 2003 a), and some of these vulnerabilities are caused by their location in the path of hurricanes (about 8.4 million people in Central America; FAO, 2004a), on unstable lands, in precarious settlements, on low-lying areas, and in places prone to flooding from rivers (BID, 2000; UNEP, 2003a). Table 13.1. Selected extreme events and their impacts (period 2004-2006). Nicaragua: 4 deaths; 9,940 injuries; 506 homes, 250 ha of crops, 240 km2 of forest and 2,000 artisan fishermen affected (SINAPRED, 2006). Mexico: several landfalls, mainly in the Yucatán Peninsula. Losses of US$1,881 million. 95% of the tourist infrastructure seriously damaged. Guatemala, Mexico, El Salvador, Nicaragua, Costa Rica: losses of US$3,000 million, more than 1,500 deaths. Guatemala was the most affected country, accounting for 80% of the casualties and more than 60% of the infrastructure damage (Fundación DESC, 2005). Southern Uruguay: extra-tropical cyclone (winds up to 187 km/h, and storm surge), 100,000 people affected, more than 100 people injured and 10 people dead, 20,000 houses without electricity, telephone and/or water supply (NOAA, 2005; Bidegain et al., 2006). Mexico - Cozumel and Quintana Roo: losses of US$837 million. Tourism losses: US$100 million; dunes and coral reefs affected; loss of 1,506 turtle nests; 1 -4 m storm surges (CENAPRED-CEPAL, 2005). Colombia: 70 deaths, 86 injured, 6 disappeared and 140,000 flood victims (NOAA, 2005). Venezuela: heavy precipitation (mainly on central coast and in Andean mountains), severe floods and heavy landslides. Losses of US$52 million; 63 deaths and 175,000 injuries (UCV, 2005; DNPC, 2005/06). Brazil: the first hurricane ever observed in the South Atlantic (Pezza and Simmonds, 2005); demolished over 3,000 houses in southern Brazil (Cunha et al., 2004); severe flooding hit eastern Amazonia, affecting tens of thousands of people (http://www.cptec.inpe.br/). Argentina - Chaco: losses estimated at US$360 million; 120,000 cattle lost, 10,000 evacuees in 2004 (SRA, 2005). Also in Bolivia and Paraguay: 2004/05. Brazil-Amazonia: severe drought affected central and south-western Amazonia, probably associated with warm sea surface temperatures in the tropical North Atlantic (http://www.cptec.inpe.br/). Brazil - Rio Grande do Sul: reductions of 65% and 56% in soybean and maize production (http://www.ibge.gov.br/home/). 2004). This climatic phenomenon has the potential to generate large-scale forest fires due to the extended period without rain in the Amazon, exposing even undisturbed dense forest to the risk of understorey fire (Jipp et al., 1998; Nepstad et al., 2002,2004). Mangrove forests located in low-lying coastal areas are particularly vulnerable to sea-level rise, increased mean temperatures, and hurricane frequency and intensity (Cahoon and Hensel, 2002; Schaeffer-Novelli et al., 2002), especially those of Mexico, Central America and Caribbean continental regions (Kovacs, 2000; Meagan et al., 2003). Moreover, floods accelerate changes in mangrove areas and at their landward interface (Conde, 2001; Medina et al., 2001; Villamizar, 2004). In relation to biodiversity, populations of toads and frogs are affected in cloud forests after years of low precipitation (Pounds et al., 1999; Ron et al., 2003; Burrowes et al., 2004). In Central and South America, links between higher temperatures and frog extinctions caused by a skin disease (Batrachochytrium dendrobatidis) were found (Dey, 2006). The impact of ENSO-related climate variability on the agricultural sector was well documented in the TAR (IPCC, 2001). More recent findings include: high/low wheat yields during El Niño/La Niña in Sonora, Mexico (Salinas-Zavala and Lluch-Cota, 2003); shortening of cotton and mango growing cycles on the northern coast of Peru during El Niño because of increases in temperature (Torres et al., 2001); increases in the incidence of plant diseases such as 'cancrosis' in citrus in Argentina (Canteros et al., 2004), Fusarium in wheat in Brazil and Argentina (Moschini et al., 1999; Del Ponte et al., 2005), and several fungal diseases in maize, potato, wheat and beans in Peru (Torres et al., 2001) during El Niño events, due to high rainfall and humidity. In relation to other sources of climatic variability, anomalies in South Atlantic sea-surface temperatures (SST) were significantly related to crop-yield variations in the Pampas region of Argentina (Travasso et al., 2003a, b). Moreover, heatwaves in central Argentina have led to reductions in milk production in Holando argentino (Argentine Holstein) dairy cattle, and the animals were not able to completely recover after these events (Valtorta et al., 2004). 25°S and 40°S (NC-Chile, 1999; Maza et al., 2001). In addition, droughts related to El Niño impacts on the flows of the Colombia Andean region basins (particularly in the Cauca river basin), causing a 30% reduction in the mean flow, with a maximum of 80% loss in some tributaries (Carvajal et al., 1998), whereas extreme floods are enhanced during La Niña (Waylen and Poveda, 2002). In addition, the Magdalena river basin also shows high vulnerability (55% losses in mean flow; IDEAM, 2004). Consequently, soil moisture and vegetation activity are strongly reduced/augmented by El Niño/La Niña in Colombia (Poveda et al., 2001a). The vulnerability to flooding events is high in almost 70% of the area represented by Latin American countries (UNEP, 2003c). Hydropower is the main electrical energy source for most countries in Latin America, and is vulnerable to large-scale and persistent rainfall anomalies due to El Niño and La Niña, e.g., in Colombia (Poveda et al., 2003), Venezuela (IDEAM, 2004), Peru (UNMSM, 2004), Chile (NC-Chile, 1999), Brazil, Uruguay and Argentina (Kane, 2002). A combination of increased energy demand and drought caused a virtual breakdown in hydroelectricity generation in most of Brazil in 2001, which contributed to a GDP reduction of 1.5% (Kane, 2002). Low-lying coasts in several Latin American countries (e.g., parts of Argentina, Belize, Colombia, Costa Rica, Ecuador, Guyana, Mexico, Panama, El Salvador, Uruguay and Venezuela) and large cities (e.g., Buenos Aires, Rio de Janeiro and Recife) are among the most vulnerable to climate variability and extreme hydrometeorological events such as rain and windstorms, and sub-tropical and tropical cyclones (i.e., hurricanes) and their associated storm surges (Tables 13.1 and 13.2). Sea-level rise (within the range 10-20 cm/century) is not yet a major problem, but evidence of an acceleration of sea-level rise (SLR) rates (up to 2-3 mm/yr) over the past decade suggests an increase in the vulnerability of low-lying coasts, which are already subjected to increasing storm surges (Grasses et al., 2000; Kokot, 2004; Kokot et al., 2004; Miller, 2004; Barros, 2005; Nagy et al., 2005; UCC, 2005). Moreover, some coastal areas are affected by the combined effects of heavy precipitation, landward winds and SLR (for example, 'sudestadas' in the La Plata river estuary), as already observed in the city of Buenos Aires (EPA, 2001; Bischoff, 2005). After the onset of El Niño (dry/hot) there is a risk of epidemic malaria in coastal regions of Colombia and Venezuela (Poveda et al., 2001b; Kovats et al., 2003). Droughts favour the development of epidemics in Colombia and Guyana, while flooding engenders epidemics in the dry northern coastal region of Peru (Gagnon et al., 2002). 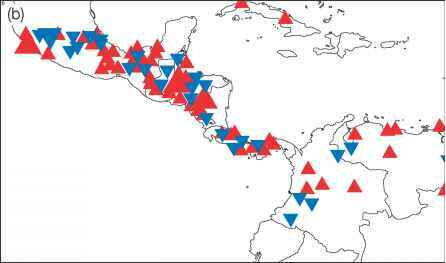 Annual variations in dengue/dengue haemorrhagic fever in Honduras and Nicaragua appear to be related to climate-driven fluctuations in the vector densities (temperature, humidity, solar radiation and rainfall) (Patz et al., 2005). In some coastal areas of the Gulf of Mexico, an increase in SST, minimum temperature and precipitation was associated with an increase in dengue transmission cycles (Hurtado-Díaz et al., 2006). Outbreaks of hantavirus pulmonary syndrome have been reported for Argentina, Bolivia, Chile, Paraguay, Panama and Brazil after prolonged droughts (Williams et al., 1997; Espinoza et al., 1998; Pini et al., 1998; CDC, 2000), probably due to the intense rainfall and flooding following the droughts, which increases food availability for peri-domestic (living both indoors and outdoors) rodents (see Chapter 8, Section 8.2.8). Prolonged droughts in semi-arid north-eastern Brazil have provoked rural-urban migration of subsistence farmers, and a re-emergence of visceral leishmaniasis (Confalonieri, 2003). A significant increase in visceral leishmaniasis in Bahia State (Brazil) after the El Niño years of 1989 and 1995 has also been reported (Franke et al., 2002). In Venezuela, an increase in cutaneous leishmaniasis was associated with a weak La Niña (Cabaniel et al., 2005). Flooding produces outbreaks of leptospirosis in Brazil, particularly in densely populated areas without adequate drainage (Ko et al., 1999; Kupek et al., 2000; Chapter 8, Section 8.2.8). In Peru, El Niño has been associated with some dermatological diseases, related to an increase in summer temperature (Bravo and Bravo, 2001); hyperthermia with no infectious cause has also been related to heatwaves (Miranda et al., 2003), and SST has been associated with the incidence of Carrion's disease (Bartonella bacilliformis) (Huarcaya et al., 2004). In Buenos Aires roughly 10% of summer deaths may be associated with thermal stress caused by the 'heat island' effect (de Garín and Bejarán, 2003). In Sao Paulo, Brazil, Gouveia et al. (2003) reported an increase of 2.6% in all-cause morbidity in the elderly per °C increase in temperature above 20°C, and a 5.5% increase per °C drop in temperature below 20°C (see Chapter 8). Migration to urban areas in the region exceeds absorption capacity, resulting in widespread unemployment, overcrowding, and the spread of infectious diseases including HIV/AIDS, due to lack of adequate infrastructure and urban planning (UNEP, 2003b). Latin America is the most urbanised region in the developing world (75% of its population). The most urbanised countries are Argentina, Brazil, Chile, Uruguay and Venezuela, while the least urbanised are Guatemala and Honduras (UNCHS, 2001). As a consequence, the regional population faces both traditional (infectious and transmissible diseases) and modern risks (chronic and degenerative diseases) in addition to those related to urban landslides and floods. Modern risks result from urbanisation and industrialisation, while poor and rural populations still suffer from 'traditional risks'. There is a significant problem of urban poverty in areas where malnutrition, poor water quality and a lack of sewage/sanitary services and education prevail. However, the line between urban and rural in many parts of the region is becoming increasingly blurred, particularly around large urban areas. (ECLAC) reports that, in spite of the fact that the region is on track to meet the Millenium Development Goals' (MDGs) extreme poverty goal (to halve the number of people living on less than $1/day by 2015), the year 2006 would show a reduction to 38.5% and 14.7% of the above poverty indices (La Nación, 2006). 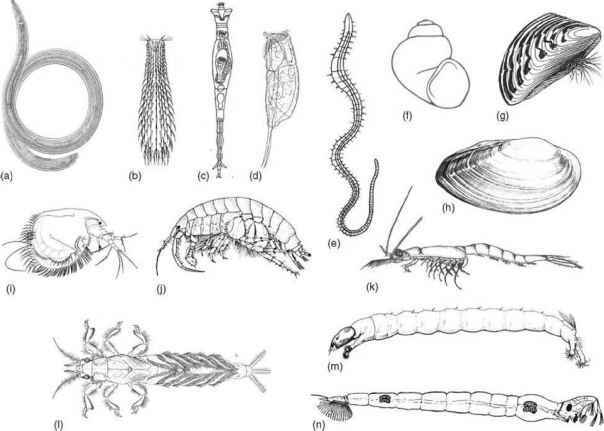 It is well established that over-exploitation is a threat to 34 out of 51 local production systems of particular importance to artisanal fishing along the coastal waters in Latin America (UNEP, 2003b; FAO, 2006) and has caused the destruction of habitats such as mangroves, estuaries and salt marshes in Central America and Mexico (Cocos in Costa Rica, Tortuguero-Miskitos Islands in Nicaragua and the Gulf of Mexico in Mexico) (Mahon, 2002; NOAA/OAR, 2004). Urbanisation (without a land planning or legal framework in most of the countries), large aquaculture developments, the expansion of ecotourism and the oil industry, the accidental capture of ecologically important species, the introduction of exotic species, land-based sources of coastal and marine pollution, the depletion of coral reefs and the mismanagement of water resources impose increasing environmental pressures on natural resources (Young, 2001; Viddi and Ribeiro, 2004). The rapidly expanding tourism industry is driving much of the transformation of natural coastal areas, paving the way for resorts, marinas and golf courses (WWF, 2004). Aquifer overexploitation and mismanagement of irrigation systems are causing severe environmental problems; e.g., salinisation of soil and water in Argentina (where more than 500,000 ha of the phreatic (i.e., permanently-saturated) aquifer shows high levels of salinity and nitrates) (IRDB, 2000) and sanitation problems in a great number of cities such as Mexico City, San José de Costa Rica, and Trelew, Río Cuarto and La Plata in Argentina. In Belize City, a system of mangrove-lined ponds and mangrove-wetland drainage areas has served as a natural sewage treatment facility for much of the city's waste water. Recently, dredging for a massive port expansion has resulted in the destruction of more mangroves and the free ecosystem services they provided (WWF, 2004). 116 of leptospirosis and 5,000 of lung disease were officially reported as a result (Bordón, 2003). Air pollution due to the burning of fossil fuels is a problem that affects many cities of Latin America. Transport is the main contributor (e.g., in Mexico City, Santiago de Chile and Sao Paulo). Thermoelectric energy generation is the second primary source of air pollution in Lima, Quito and La Paz (PAHO, 2005). Climate and geography play a significant role in this situation; e.g., the occurrence of thermal inversions, such as in Mexico City, Lima and Santiago de Chile. In Mexico City, surface ozone has been linked to increased hospital admissions for lower respiratory infections and asthma in children (Romieu et al., 1996). Regarding exposure effects to biomass particles, Cardoso de Mendonga et al. (2004) have estimated that the economic costs of fire in the Amazon affecting human health increased from US$3.4 million in 1996 to US$10.7 million in 1999. 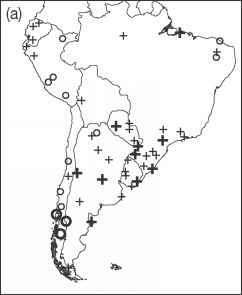 During the 20th century, significant increases in precipitation were observed in southern Brazil, Paraguay, Uruguay, north-east Argentina and north-west Peru and Ecuador. Conversely, a declining trend in precipitation was observed in southern Chile, south-west Argentina and southern Peru (Figure 13.1, Table 13.2). In addition, increases in the rate of sea-level rise have reached 2-3 mm/yr during the last 10-20 years in south-eastern South America (Table 13.2). 2001a; Aguilar et al., 2005; Alexander et al., 2006). They all show patterns of changes in extremes consistent with a general warming, especially positive trends for warm nights and negative trends for the occurrence of cold nights. There is also a positive tendency for intense rainfall events and consecutive dry days. A study by Groisman et al. (2005) identified positive linear trends in the frequency of very heavy rains over north-east Brazil and central Mexico. However, the lack of long-term records of daily temperature and rainfall in most of tropical South America does not allow for any conclusive evidence of trends in extreme events in regions such as Amazonia. Chapter 3, Section 3.8 of the Working Group I Fourth Assessment Report (Trenberth et al., 2007) discusses observational aspects of variability of extreme events and tropical cyclones. Chapter 11, Section 11.6 of the Working Group I Fourth Assessment Report (Christensen et al., 2007) acknowledges that little research is available on extremes of temperature and precipitation for this region. These changes in climate are already affecting several sectors. Some reported impacts associated with heavy precipitation are: 10% increase in flood frequency due to increased annual discharge in the Amazon River at Obidos (Callede et al., 2004); increases of up to 50% in streamflow in the rivers Uruguay, Paraná and Paraguay (Bidegain et al., 2005; Camilloni, 2005b); floods in the Mamore basin in Bolivian Amazonia (Ronchail et al., 2005); and increases in morbidity and mortality due to flooding, landslides and storms in Bolivia (NC-Bolivia, 2000). In addition, positive impacts were reported for the Argentinean Pampas region, where increases in precipitation led to increases in crop yields close to 38% in soybean, 18% in maize, 13% in wheat and 12% in sunflower (Magrin et al., 2005). In the same way, pasture productivity increased by 7% in Argentina and Uruguay (Gimenez, 2006). Figure 13.1. Trends in rainfall in (a) South America (1960-2000). An increase is shown by a plus sign, a decrease by a circle. Bold values indicate significance at P < 0.05. Haylock et al. (2006); reprinted with permission from the American Meteorological Society. (b) Central America and northern South America (1961-2003). Large red triangles indicate positive significant trends, small red triangles indicate positive non-significant trends, large blue triangles indicate negative significant trends, and small blue triangles indicate negative non-significant trends. Aguilar et al. (2005); reprinted with permission from the American Geophysical Union. Table 13.2. Current climatic trends.